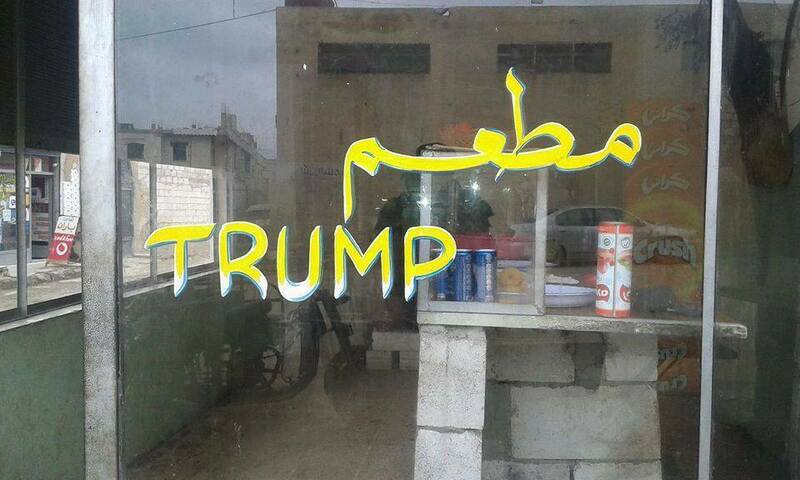 A Syrian Kurd opened the “Trump Restaurant” in liberated Kobani this week. The Kurdish owner said it was in honor of the 45th US President Donald Trump. 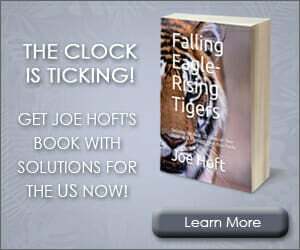 Kobani was overtaken by ISIS killers during the Obama years. A Syrian Kurd opened a small eatery for falafel sandwiches last week in the Syrian Kurdish town of Kobani and named it after the US President-elect Donald Trump. Waleed Shekhi, the owner of Trump Restaurant, told Kurdistan24 on Saturday his new business was a result of the current war in his country. “Keeping peace with the current situation in Syria and the US, I decided to name my restaurant after the new US president,” he said. Additionally, Shekhi said the difficult living conditions in Kobani lead him to embark on the new business. “After the liberation of our town from [IS] two years ago, I had to try many hard jobs for my family, but in vain,” he said. 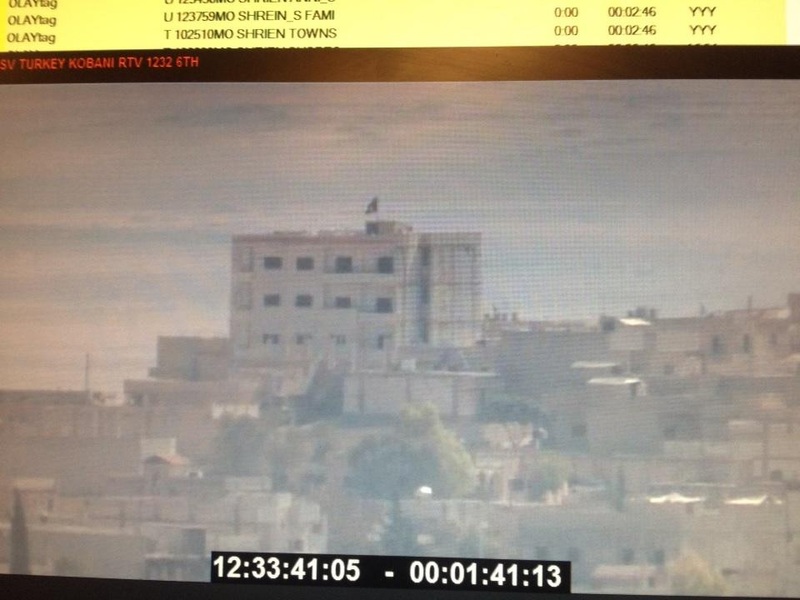 An ISIS flag flies on a building on the eastern side of Kobani (Kobane), Syria. The Islamic State of Iraq and Syria (ISIS) raised on Monday its black Islamic flags on a building on the eastern side of Kobane, Syria. The ISIS militants have been fighting Kurdish forces for three weeks before entering Kobane today. The Obama administration sat back as Kobane came under siege. Over 100,000 Kurds fled the area during the ISIS siege.